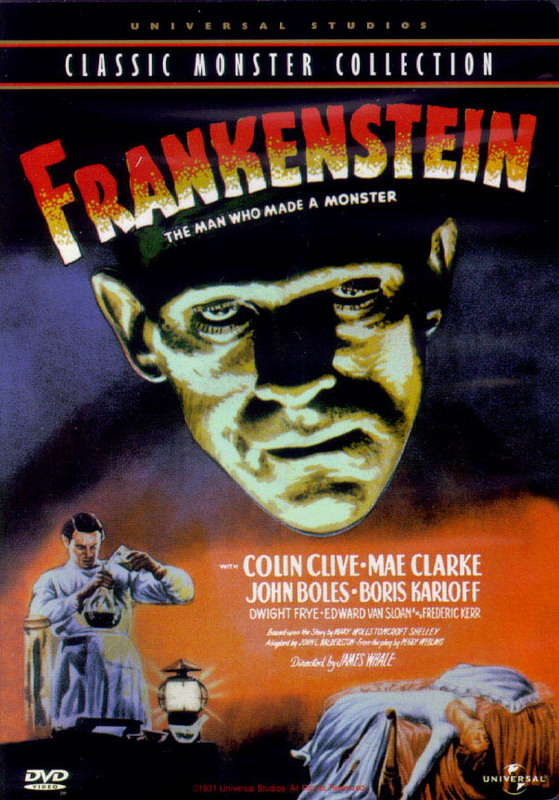 Starring Boris Karloff, Colin Clive, Mae Clarke, John Boles, Edward Van Sloan, Dwight Frye . Screenplay by Garrett Fort and Francis Edwards Faragoh. 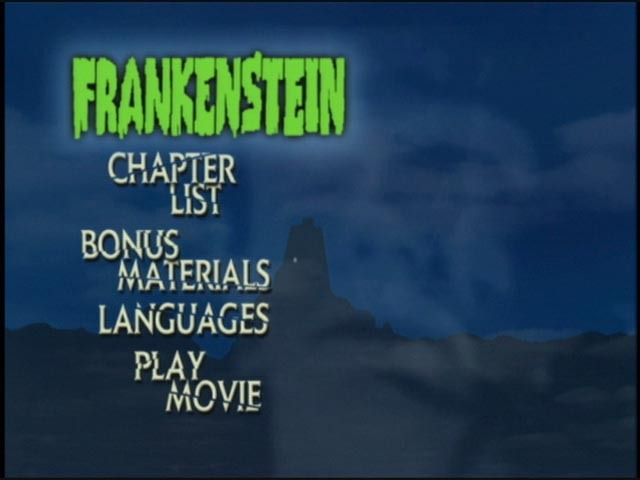 Based on the story by Mary Wollstonecraft Shelley, adapted by John L Balderston from a play by Peggy Webling. 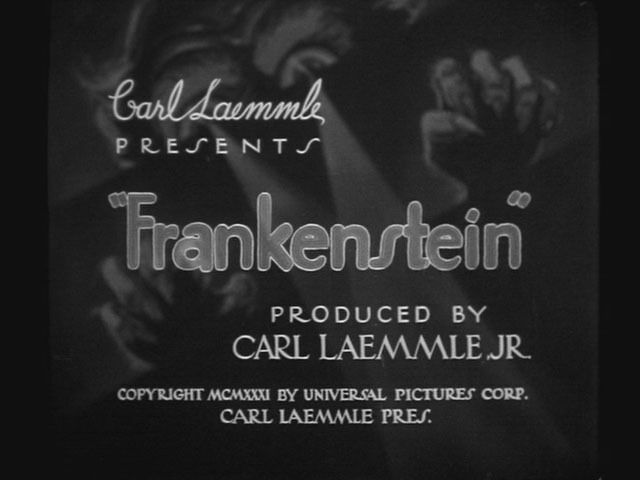 Produced by Carl Laemmle Jr. Black and White. Mono. Not rated. 71 minutes. DVD edition: Catalog number 20325. Languages: English. Sound: 2.0 mono. Subtitles: English, French. Full frame. Dual Layer. Alternate audios: commentary. Mastered on 22 June 1999.